We've been growing delicious apples in southern Wisconsin since 1839. 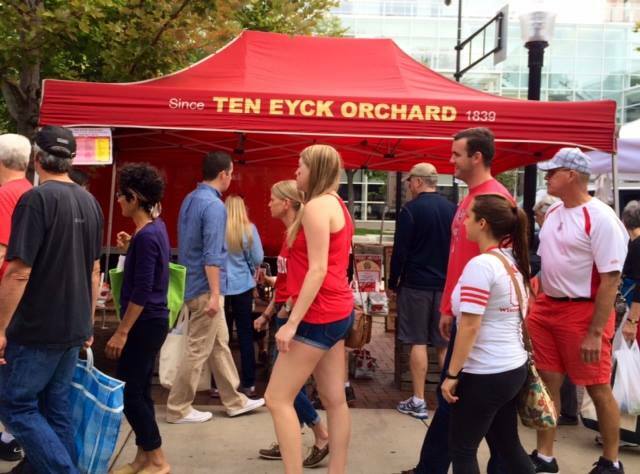 Ten Eyck Orchard has been our family farm since 1839, with six generations experience raising apples, hand picked at their flavor peak, while employing sustainable practices in land management. Not only do we grow a wide variety of apples, but we also have more tasty treats and activities for everyone! We love being able to sell our apples locally. Check us out at some of Madison's famers' markets!